So you’re nervous about your next dentist appointment. Not because you haven’t been flossing or brushing enough, but because you smoke, vape, or use chewing tobacco. You’re worried that your dentist might know that you do these things, and will make you feel guilty about it. Now you want to know if you’re dentist will be able to tell that you smoke, right? 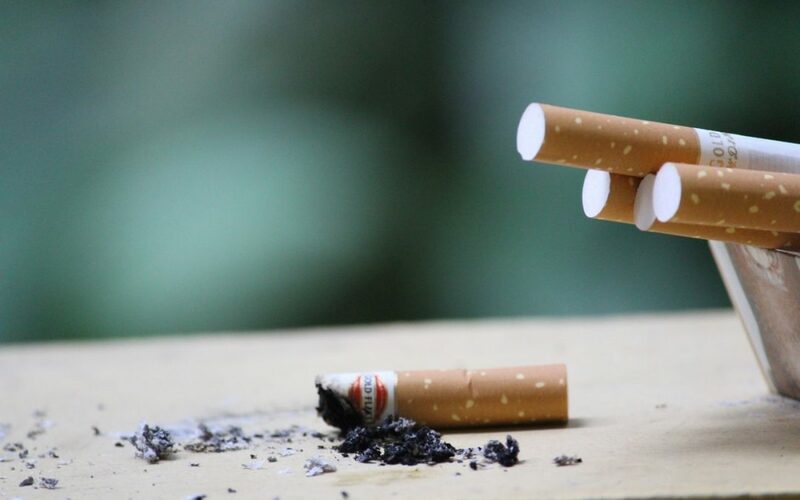 For smoking cigarettes or chewing tobacco, the bad news is your dentist will absolutely know you consume tobacco products if it’s with any regular frequency. These products stain your teeth and can force your gum line to recede in a way that makes it pretty obvious. For vaping, it’s a little trickier, your dentist likely won’t see too many lasting effects resting on your teeth, as the vapors flow a little cleaner through you mouth. At the same time, though, the vapors in your mouth can cause dry mouth. Dry mouth leads to tooth decay, which is something a good dentist will quickly notice, and likely ask about your current consumption of tobacco products. Of course, the same thing applies to things like drinking coffee regularly, or eating sugary foods without proper dental care. Here’s the good news, though. Your dentist would much rather have you come by the office for your twice-yearly dental checkups than for you to worry about whether or not they can tell you smoke or chew. It is far more important for your oral health that you routinely get your teeth cleaned and professionally checked, even if it means enduring a little guilt trip about your tobacco use. Especially if you’re honest and upfront about your tobacco use, the dentist will be far less likely to try and make you feel guilty. Of course, they do have to offer their professional opinion, and one of the quickest ways to improve your overall tooth health is to stop smoking or chewing. Check out the US government’s site Smoke Free. Read the American Lung Association’s five secrets for quitting smoking. Talk to your doctor about possible prescriptions you can take to help limit the urge to smoke. To reiterate, it is important to regularly attend dental checkups to ensure your overall teeth health is strong. Any dentist will tell you, avoiding regular dental care is a one-way pass to a far more expensive procedure down the road. To try and avoid the harsh reality of deterioration in your oral health is only going to make for more trouble down the road. Preventative care is the single most important thing to ensure long-term happy teeth. Keep in mind, the dentist is overall there to help you maintain the healthiest teeth possible. If you feel guilt-tripped by your dentist, and this is preventing you from visting their office, maybe it’s time to look into finding a more comforting dentist.